PRICE REDUCED! Motivated seller. If location, condition, upgrades and getting the best value for your dollar is important, come see this home NOW! 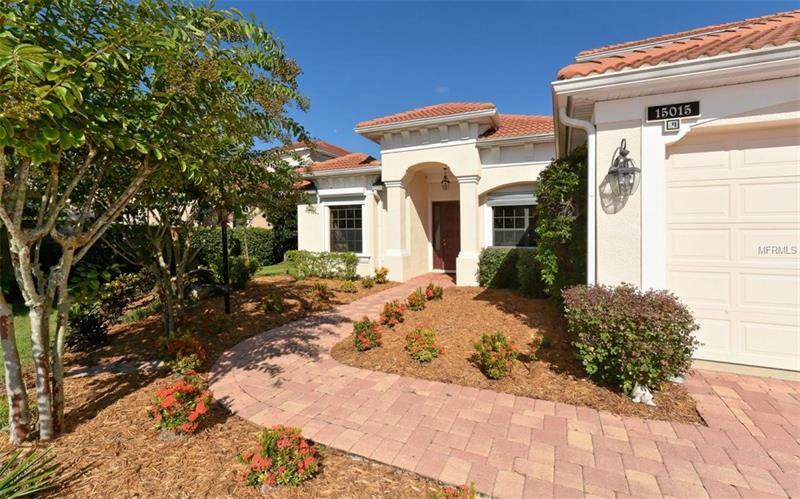 Immaculately-maintained, one owner home in a most desirable area of Lakewood Ranch - The Preserve at Greenbrook Village. Enjoy the amazing water views off your lanai or swim in the oversized 40' x 20’ heated, salt water lap pool. Built in 2006, this updated two-story home of 3,190 sq ft has an open floor plan and no one needs to fight over the bathrooms, as this home has 4. Your company could have the privacy of the 2nd floor with bedroom, closet and full bath. This home has many upgrades: 3-Car garage, 4 BATHS, pavered drive and lanai; barrel tile roof; retractable storm shutters, newly painted and carpeted; extended lanai, multiple tray ceilings in the family room and master bedroom; gourmet kitchen with 6-burner gas cooktop with pot-filler & true vent, double convection ovens, granite counter tops, separate huge refrigerator and freezer, enhanced security system, two 200 amp electric boxes, newly painted garage floor, and NEWER Trane HVAC for the upper bedroom suite. Great layout with lots of natural light, perfect for entertaining, large family, or extended overnight guests, with the separation of space. World-class golf, tennis, athletic facilities, restaurants & shopping at UTC are nearby. A-rated schools across the street & Greenbrook Village offers two parks with playgrounds, beach volleyball, in-line skating rink & dog-park. HOME WARRANTY OFFERED.